Rumors and uncomfirmed reports were going around yesterday, but with a video out on TMZ, we can consider it (using today’s current lingo) legit: Orlando Bloom punched Justin Bieber early Wednesday morning, July 30. 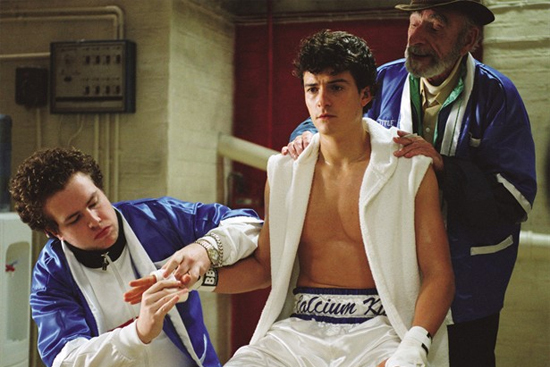 We are speculating that it hurts, as Orlando Bloom is The Calcium Kid. Vulture collated various reports from other sources, piecing together the following facts: Justin Bieber said something rude about that time he hung out with Miranda Kerr at a Victoria’s Secret fashion show ("She was good") and that’s when Bloom took a swing. Other sources stated that Bieber swung first (and missed) before Bloom threw a punch (and connected). We don’t know what happened but you can watch the video on TMZ’s website. Remember, resolving things with your fists isn’t cool and comparing Justin Bieber to a girl is sexist. Stay classy, everyone! For more on this story, log on to Vulture.com.